New U.S. Forest Service Chief Tony Tooke, left, with Agriculture Secretary Sonny Perdue after being sworn in at the Pemigewasset Overlook in the White Mountain National Forest near Albany, N.H.
Tony Tooke became the 18th chief of the U.S. Forest Service on Sept. 1 when Agriculture Secretary Sonny Perdue administered the oath of office to him in Albany, N.H.
Perdue said Tooke has worked for the Forest Service since age 18, with 37 total years of service. 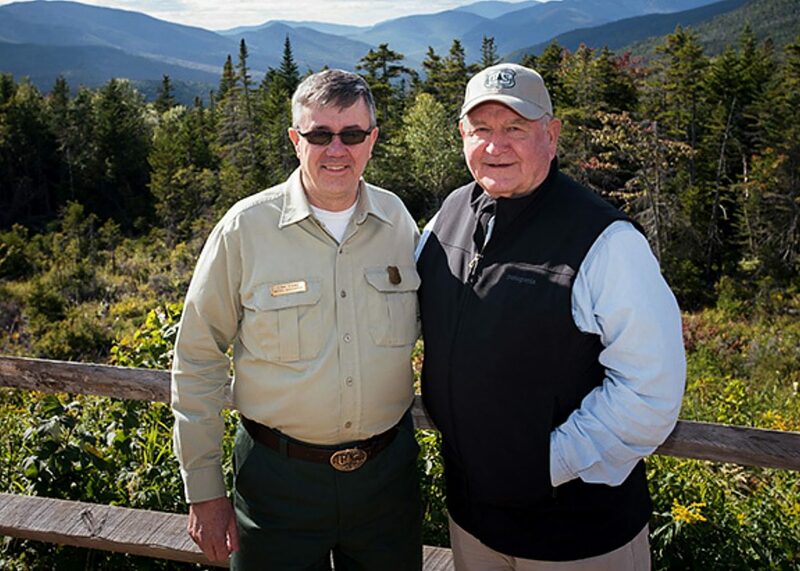 "Tony Tooke is truly a home-grown chief, having worked his entire adult life for the Forest Service, and he comes on board at a time of great opportunity to reform our approach to forest management," Perdue said. "He will oversee efforts to get our forests working again, to make them more productive, and to create more jobs. 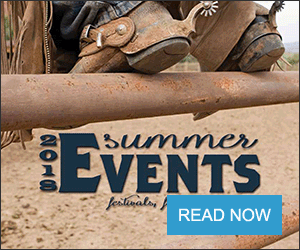 "Additionally, wildfires have been aggressive this season, and it is frustrating to see that a greater and greater percentage — now 55 percent — of our Forest Service budget is spent on fire suppression. This diminishes our efforts to mitigate disasters in advance. I am committed to finding a permanent solution to this budget imbalance, and Tony's leadership will be key to accomplishing that goal." Tooke takes over an agency that oversees 154 national forests and 20 grasslands in 43 states and Puerto Rico. He most recently was the regional forester for the Southern Region that includes 13 states and Puerto Rico. His previous position in Washington was associate deputy chief for the National Forest System, with oversight of Lands and Realty, Minerals and Geology, Ecosystem Management Coordination, Wilderness and Wild and Scenic Rivers, the National Partnership Office and Business Administration and Support Services. Also in Washington, Tooke served as director for ecosystem management coordination, deputy director for economic recovery, and assistant director for forest management. Before 2006, Tooke held Forest Service positions in Florida, Alabama, Mississippi and Kentucky. Tooke grew up on a 200-acre farm in Detroit, Ala., and earned a bachelor's degree in forestry from Mississippi State University. He was in the Forest Service's inaugural class of the Senior Leadership Program, and he completed the Senior Executive Service Candidate Development Program.